You don’t need to hit the gym regularly or pay the expensive subscription fees if you can work out in the comfort of your own home. For those who are serious about shaping their body, you might want to invest in a rowing machine. For this list of reviews, we have gathered the top 10 best rowing machines available in the market today. Shaping your body has never been easier with a quality rowing machine. The following durable, innovative, and reliable rowing machines that will help you to achieve your desired body in the long run. 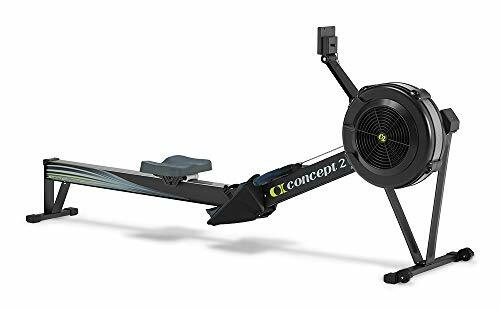 First on the list is this rowing machine from Concept2 that delivers low impact workout while engaging in all major muscle groups: the core, the legs, and arms with a high-calorie-burning motion. Thanks to its reliable real-time data, you can track your progress and motivate yourself to do better. The Performance Monitor 5 can self-calibrate to generate results and can also connect to heart rate applications and belts. This rowing machine is engineered to fit most users, regardless of your height and weight. The 14-inch seat height, adjustable footrests, and ergonomic handle provide optimal comfort while you are working out. You can separate it into two for compact and easy storage. 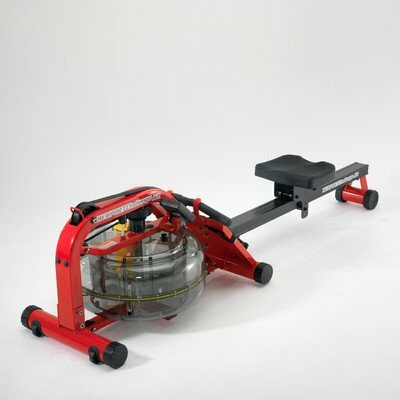 The rowing machine also features a set of caster wheels, allowing you to bring it anywhere you want. It’s easy to assemble with only eight screws. We also like that it does not consume much space compared to other rowing machines, making it an ideal choice for buyers who are living in a small apartment or have limited space in their house. Another product from Concept2 that makes rowing for everyone is this model E indoor rowing machine with PM5. This model E seat is 6-inch higher off the ground compared to other rowing machines. It also has an easy on/off for those who have flexibility issues. Similar to the previous product we’ve reviewed, it provides a low impact workout that engages all the major muscle groups in your body including the work legs, core, and arms. Its high-calorie burning motion allows you to achieve your desired body shape in a long time. Aside from that, it also features a performance monitor 5 in tracking your progress thanks to its self-calibrating monitor that produces comparable results. You can also connect it to other heart rate applications for detailed information. The fixed monitor arm allows you to place the performance monitor close to you for easy checking. 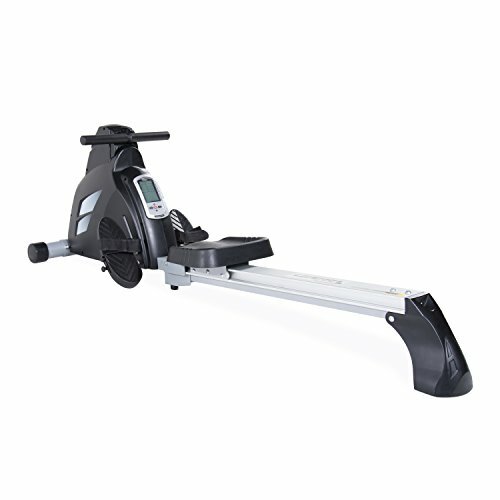 This industry-grade indoor rower is suitable for both residential and professional use. With its glossy two-coat paint finish, it looks great in any modern house or patio. Next, we have the rowing machine in ash wood from the water rower. This handcrafted rowing machine features a water flywheel that can replicate the actual rowing wheel. It is mounted in an enclosed water tank to deliver a smooth and noise-free regulated resistance. Thanks to its series four performance monitor that tracks the intensity of your workout, stroke rate, and heart rate, you can monitor your progress and can use it to motivate yourself. Furthermore, its solid ash and stained honey oak construction help to absorb vibration and sound. It is far by the quietest rowing machines we’ve found in the market so far. When not in use, you can store it in an upright position, allowing you to save space in the long run. Its smart structure also allows you to bring the rowing machine anywhere you want. Ditch your treadmill and switch to Avari stamina programmable magnetic exercise rower. It features 12 workout programs including six cardio profiles, a manual, four custom user programs, and one heart rate program. The fitness monitor can help in keeping you motivated by tracking the time, count, distance, calories, strokes per minute, and the watt. You can use the up and down arrows on the In-Touch fitness monitor in adjusting your workout time and your resistance on the fly. In addition to this, rest assured that the extruded aluminum rowing beam can last for a long time. Compared to the previous product we’ve reviewed that’s made out of wood, you do not need to worry about the bolts contracting and expanding the more you use the product. 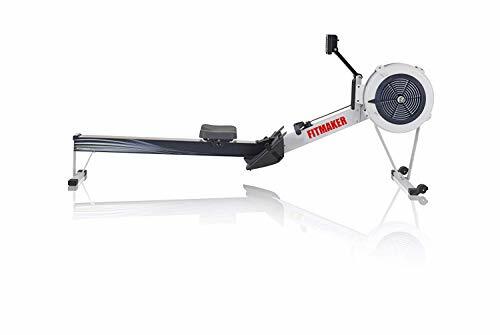 This space-saving and commercial-grade rower will help you to achieve your desired body shape in your house without burning a hole in your pocket. 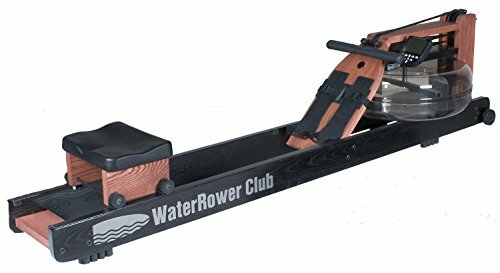 If you liked the wooden rower we’ve reviewed from the Water Rower, you might want to check this product from the same manufacturer. This rowing machine in ash wood with an S4 monitor is handcrafted and features a water flywheel that can replicate the actual feel of rowing. The flywheel rests atop an enclosed water tank, allowing you to enjoy a smooth and self-regulated resistance. It also features a series four performance monitor that can track your workout intensity, stroke rate, and heart rate. The solid ash construction can deliver a noise-free operation, specially designed for high-traffic areas. When not in use, you can store the unit in an upright position. 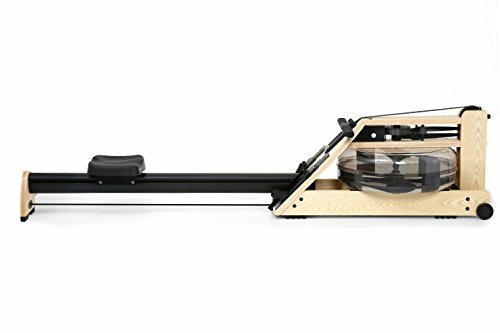 The first-degree fitness Newport AR rower water rower exercise machine is perfect for people who wanted to increase their muscle endurance and incorporate training in their own house. It comes with a triple-bladed stainless steel paddle with variable water volume up to 17 liters. The computer displays the time, distance, strokes per minute, calories per house, and interval training to motivate you more. It also features an optional heart rate reception. 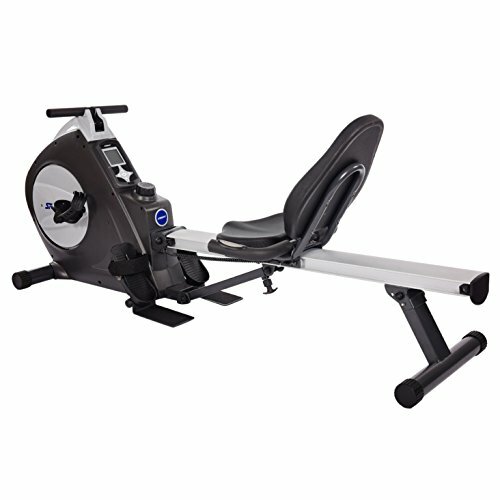 This rowing machine features a fluid resistance technology water nature that delivers a smooth resistance. Its ergonomic handle is designed to lessen the fatigue on the arms, wrists, and hands. It also provides a durable belt drive that provides a smooth, clean, and noise-free operation. Its solid construction makes this unit the ideal choice for a home gym application. 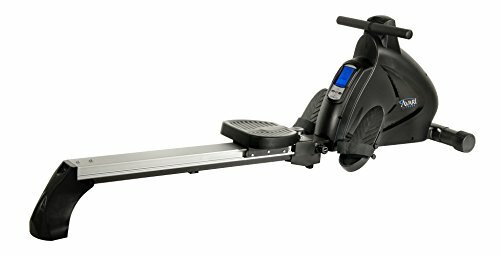 If you are looking for extra and unique features, you might want to consider this exercise bike from Stamina. Aside from biking and rowing, you can also set up a leg press or upper-body cable exercises. Enjoy all of these in the comfort of your own home without breaking your bank. All you need to do is change the position of the rowing handle with the seat hook. Minor assembly is required upon arrival of the product. This two-in-one design is ideal for both biking and rowing. Option for additional upper and lower body strength with its rowing handle. There are eight levels of adjustable magnetic resistance and a multi-function monitor tracks metrics. The heart pulse sensors are mounted into the handlebars of the rowing machine. Buyers can enjoy up to three-year limited warranty upon purchase. The Concept2 model D indoor rowing machine with PM3 features a sliding seat for complete total body workouts. The flywheel design minimizes the generation of noise while making delivering a smooth feel. It’s 14-inch seat heat, and nickel-plated chain provides optimal comfort. You can also track your progress through its PM3 motor. 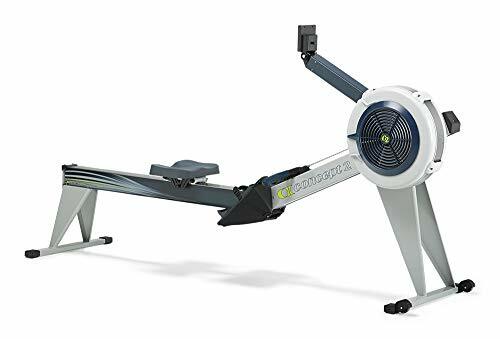 Similar to other products from this manufacturer, you can also separate this rowing machine into two thanks to its quick-release frame lock. The set of caster wheels installed makes this product easier to transport. It also has adjustable footrests that can accommodate a variety of shoe sizes. The ergonomic handle ensures that you are comfortable all throughout the process. Buyers can enjoy up to five-year limited warranty upon purchasing the product. 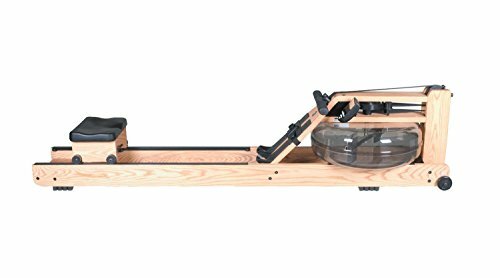 Check out this Velocity Exercise magnetic rower that features a magnetic drum control and electronic tension control. It has a large PU molded saddle. The rower is foldable, allowing you to save space in your house. It comes equipped with a heart rate monitor chest strap to your monitor heart rate, ideal for intense cardio training. Rest assured that the anodized aluminum profile and rectangular tubing support can last for a long time. It’s easy to assemble and sold at a reasonable price. For those customers looking for budget-friendly options, you might want to consider this product. Lastly, we have the Water Rower AI home rowing machine. It is the basic model of rowers from the Water Rower, perfect for people who are not keen on complex features. It has a simplified motor, different from dual-rail machines with its unique mono-rail. It’s handcrafted with premium ash hardwood with a sleek aluminum monorail design. The machine is left unstained and has been finished using Danish oil to provide warmth to the wood. It looks great in any contemporary-styled houses, and it’s easy to assemble. Not to mention, this product doesn’t burn a hole in your pocket when bought.